Ladies and gentleman, boys and girls, children of all ages, it’s time! 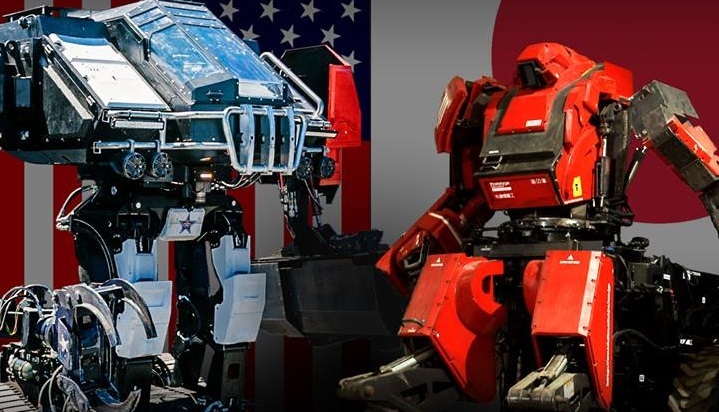 Tonight, live on Twitch, two giant robots will face-off in the squared circle to determine whether the US or Japan will reign supreme in mechanized battle. This is the first international piloted-mecha fight, and we’re beyond stoked for it. If you aren’t excited you must not be paying attention – these two robots are huge. And they’ll be going toe-to-toe, no missles or machine guns – which is sure to make it spectator friendly. I’m gonna be honest, I’m not 100 percent sure what to expect, but I’ll be streaming the event for the sole benefit of my inner child, who has been dying for this since I first saw Sigourney Weaver take on the Queen Alien. You can watch the fight live on Twitch, the event begins at 10PM EST. You’ll be able to watch a full replay on Facebook and YouTube after. Check out our preview with more information here. And go ahead and make your fight predictions in the comments! UPDATE 7:55 CST: Changed time to reflect event begins on Twitch at 10PM EST, not 9 as previously reported.